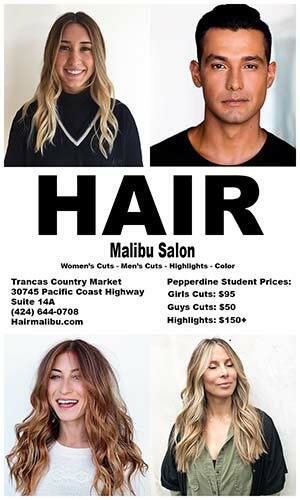 The Woolsey fire ripped through the city of Malibu, reminding its residents that although the seaside town is beautiful, it is also fragile. This fire caused mass devastation to the city, and forced Pepperdine University’s Safety Team to enact certain disaster protocols to keep students and faculty safe. Students, however, are unaware of many of these protocols. “I think as a freshman, they haven’t really introduced a lot of those protocols to us but I think as those disasters occur, [and] as we discuss it with upperclassmen, that we’d be able to figure it out pretty easily,” freshman Katelyn Romeike said. 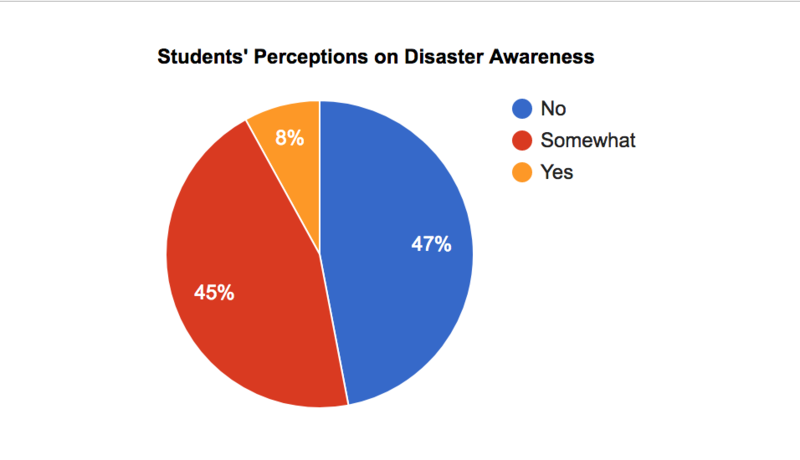 A poll of 51 students taken in the spring semester found that 47 percent of students do not think Pepperdine has done enough to spread disaster safety awareness. 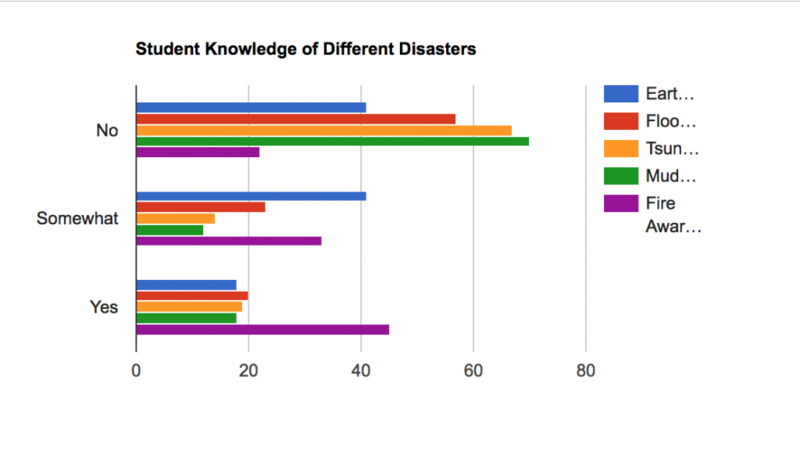 About 71 percent of students would not know what to do if there was a mudslide, around 67 percent are unsure of what to do during a tsunami, and about 41 percent have no knowledge of earthquake protocols. But roughly 78 percent of students said they think they know how to stay safe during a fire. The main resources available to students are the emergency website and the 2018-2019 Emergency Preparedness Brochure. Both of these sources require students to do their own research to become informed. 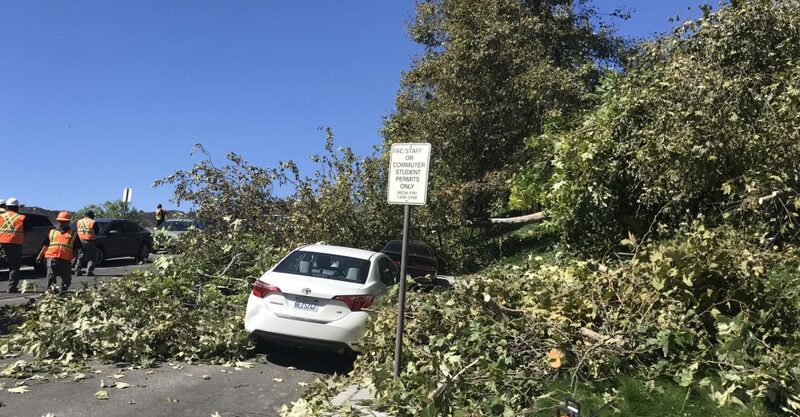 Pepperdine also utilizes a program called Everbridge that sends out calls, texts and emails to alert the community of urgent disaster, Jonathan Weber, interim director of insurance and risk, said. 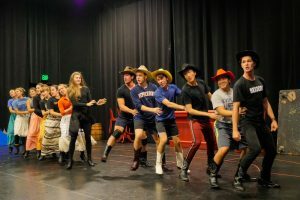 Pepperdine also has a variety of bigger-picture protocols and drills in place to address the worries of students, faculty and parents on campus, Weber said. As time progresses and new issues arise, safety officials are constantly improving these protocols. Fires are a very common natural disaster in Pepperdine’s location. “We’re in a valley with a lot of trees and dead brush which can catch on fire, especially in California,” sophomore Jacob Fleck said. For this reason, safety officials do not take preparing for them lightly, holding annual fire drills in September to spread safety awareness. Throughout the entire history of fires that have broken out near campus, no one has ever gotten hurt — there has only been building damage, Weber said. Weber said there is also always an ice cream truck that is strategically placed at these drills so that during real emergencies, students and faculty are reminded to go wherever the truck was. The university’s sole philosophy in dealing with disasters — especially during brush fires — is shelter-in-place. 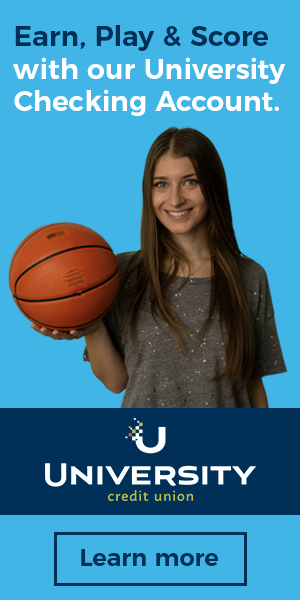 This strategy encourages the community to stay on campus, where there is an abundance of resources available to provide for everyone for an extended amount of time. Those who attempt to flee risk getting stranded on PCH or in one of the canyons due to traffic and road closures, Weber said. “Pepperdine is like a small well-equipped city: with fire trucks and emergency response personnel, capable facilities personnel on campus 24/7, medical supplies, food and water, health and counseling centers and numerous other resources upon which to call if needed in an emergency,” President Andrew K. Benton wrote in his letter about Pepperdine’s planning for emergencies. Staying in one place also makes it much easier for firefighters and other first- responders to work because roads are left open for use, according to Pepperdine’s shelter-in-place page on their emergency website. During major fires, students and faculty evacuate to either the Tyler Campus Center or the Firestone Fieldhouse. Pepperdine is also known for taking in other members of the Malibu community who’ve lost homes to flames, Mark Lauren, lieutenant of fire safety and preparedness, said. 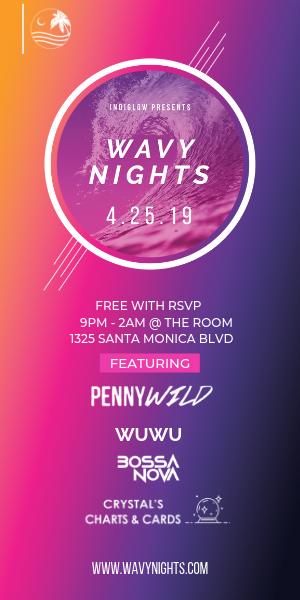 “Geographically, the way that the university is set, it’s probably one of the safest places in Malibu, and we become a hub for all different kinds of agencies responding,” Lauren said. Weber said the LA County Fire Department often uses Pepperdine’s Drescher Campus as their command post during critical emergencies. During the 2007 Malibu fires, the university hosted about 500 firefighters and all of their trucks on campus. In situations like these, firefighters fly their helicopters to and from Alumni Park, picking up water from the lake to help distinguish flames. Does Pepperdine do enough to make students feel safe? 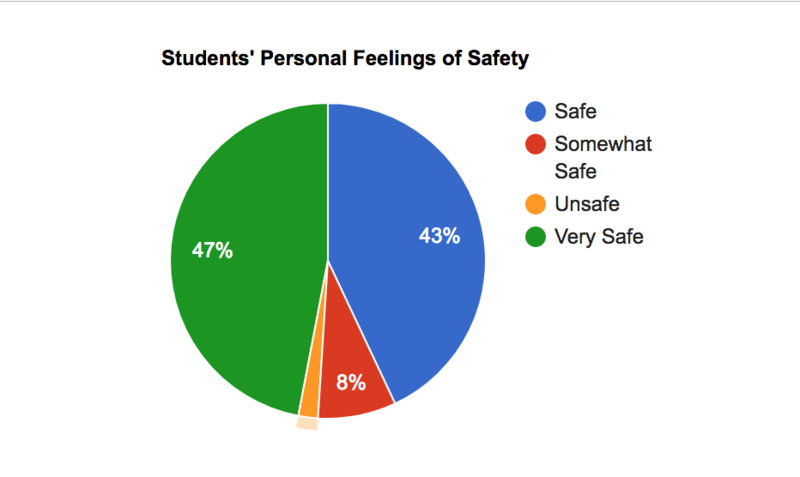 While many do not know specific safety procedures, this does not influence the fact that the majority of students still feel safe on campus. “I don’t really fear any natural disasters here because I’m from Colorado, so we have tornadoes, which are actually kinda scary, but we don’t have hurricanes here … we have low-key earthquakes, but that’s it,” junior Tristan Faust said. Faust said he knows very little about Pepperdine’s safety protocols but still feels very safe. 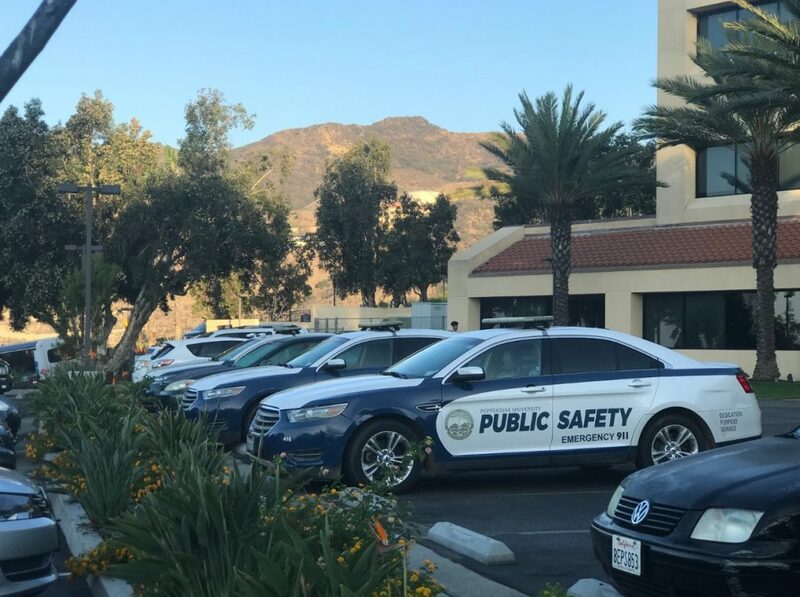 Pepperdine takes many precautions to promote the safety of those on Malibu’s campus. One precaution Pepperdine takes is clearing brush around campus buildings annually to prevent fires from coming too close, according to the shelter-in-place page on Pepperdine’s emergency website. Pepperdine also builds with fire-resistant materials whenever possible. “The reason why [the dorm room paint is] so expensive, especially keeping nails and stuff in the walls, is because it’s all like covered with this fire retardant material,” sophomore Levi Maguire said. His RA explained to him that this is why there are so many guidelines as to what can and can’t be used to hang things in the dorms. Weber said students can email him if they have any further suggestions or concerns regarding safety issues. “The only things which may impair our communications plans are things for which we simply cannot plan or control,” Benton wrote in his letter. Earthquakes, for example, are much more unpredictable than other disasters, and are thus much harder to prepare for. “Honestly, other than standing under a door frame, I don’t know what else you can do,” senior Courtney Ruud-Johnson said. Many students said this is concerning, considering the likelihood of one occurring in California. “We’re overdue for a really big earthquake,” junior Laura Duffield said. Earthquake safety information is available on Pepperdine’s emergency website. The site offers advice on what students should do if they are indoors during the shaking versus outdoors. In the event that major damage is done to Malibu’s campus, the Department of Public Safety will announce and implement relocation procedures. After large earthquakes, building engineers must inspect buildings before people are allowed back in them, Weber said. If communication lines are out, Weber also said that there are satellite phones and other sources outside of Malibu that the university has access to that can be used to send messages to loved ones with earthquake news. DMV.org, a private nonprofit website, also recommends that students keep an emergency kit in the car with medication, water, perishable food etc. Pepperdine is constantly adapting emergency procedures to accommodate new issues that arise during disasters, according to the Pepperdine emergency website. “I’ve worked in risk management since I started 13 years ago, and I’ve seen us continue to try and stay on the cutting edge of it,” Weber said. Pepperdine officials studied Hurricane Katrina and realized that if there was a powerful earthquake, Pepperdine could be isolated because of the campus’ location. As a result, while the university used to only have three days worth of supplies to take care of the community, there is now significantly more, Weber said.